TRANSPORTATION: Our intent is to accommodate all members who would like to attend this event. Ultimately this depends on the number of people who sign up and the vehicle space available. We will help coordinate rides as we get closer and have a better understanding of who will be attending. We will provide a BBQ grill, but it would be great to have a couple more to assist in cooking for everybody. If you have one and can contribute please bring it along. 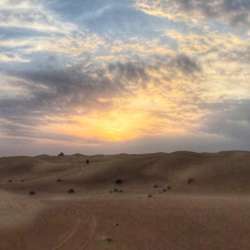 We have created a Dubai Desert Camping Group on WhatsApp so please provide us with a good phone number so we can keep you updated as this event quickly approaches. Please feel free to message Protected content if you have any questions or concerns. Thank you and we look forward to camping with you soon.